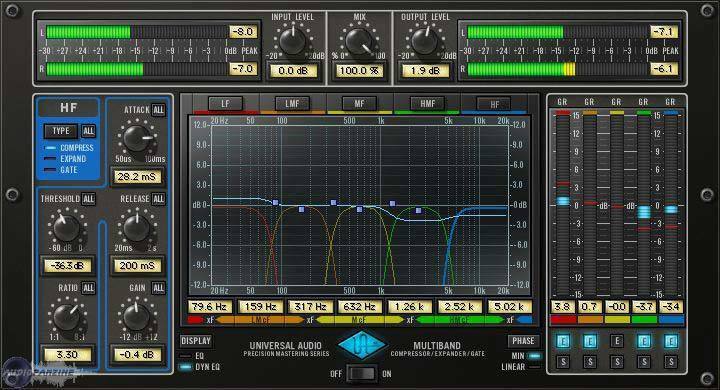 UAD Precision Multiband Mastering Compressor, Software multiband compressor from Universal Audio in the UAD Plug-In series. Installation very, you click on the file "auth" and presto it works! 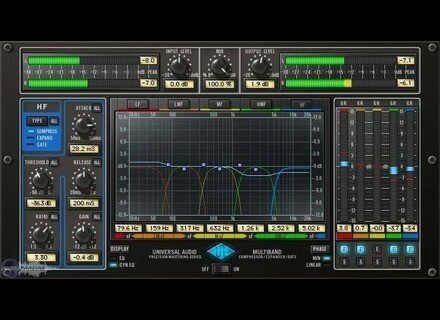 It's a big app with different functions: expander, compressor, gate. That's exactly what it takes behind the eq on the master section, I ulises in compressor / expander, the settings are fine and can slightly reduce the "peaks" and "expander" a specific band without distorting the sound mix. Almost 1 Year use it on all my prods and will remain so for long I think. I tried waves (too expensive and too cold). The big plus is the different functions, not least, if ah, mistletoe pouèle deserves to be a larger, well what, must be a bit picky!